Click the button below to add the Shimano Ultegra Di2 6870 Groupset - 52/36 11/28 to your wish list. 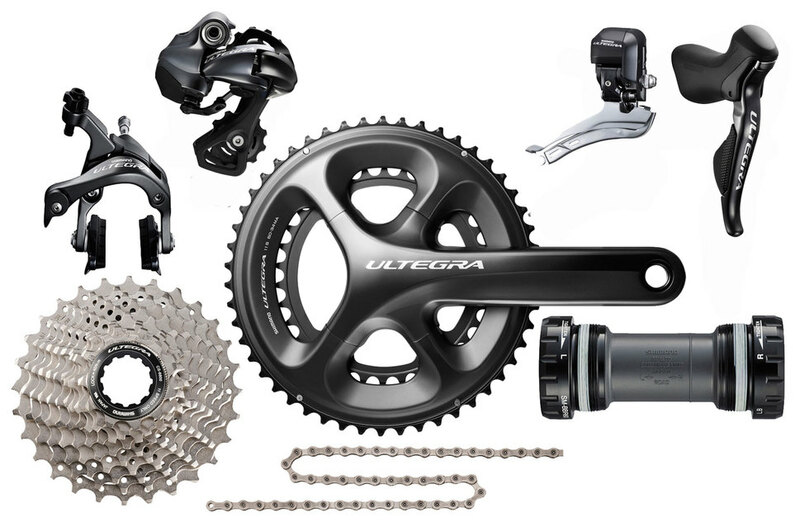 The Shimano Ultegra Di2 6870 Groupset is Shimano's most current Ultegra groupset. It is super slick and comes with everything you need to upgrade your old 6700 Ultegra or 105 components at a incredible low price. Comes with 6800 chainset, a HollowTech II bottom bracket, front and rear brakes, braze on front and short cage rear mech, 11 speed cassette, chain and full Electronics. Please note that the 11 speed cassette does not fit on Shimano 10 speed freehub bodies.